1. Exposed beams are magical. 2. That light fixture that came with the house isn’t quite as magical. First things first, swap the light fixtures! 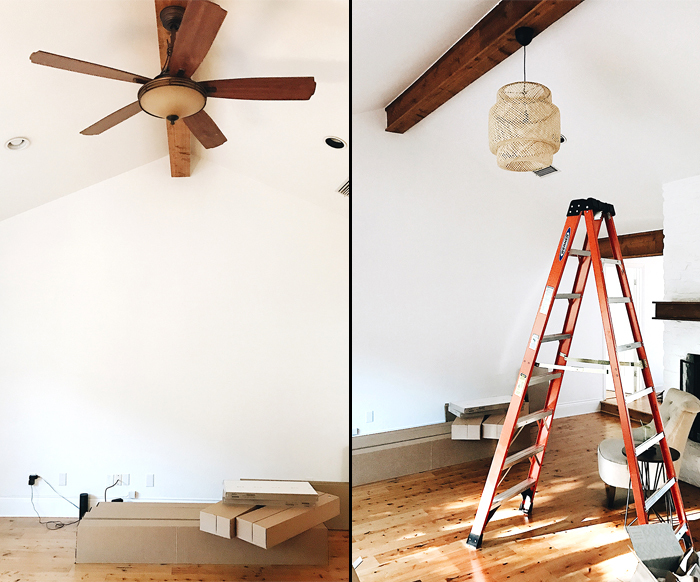 Our vision for the living room area is basically to create a relaxing, tranquil space where we want to sip our coffee in the morning and have friends over for wine at night…the new light is a good start! 3. If you scroll to the first image in this post, you’ll notice we added built-in bookshelves! …And by “we,” I really mean Blake put the shelves together and installed them while I drank a glass of wine and watched Jimmy Kimmel. I have officially started calling him (Blake) Superman because he is kind of a miracle worker when it comes to mastering these home decor projects in a crazy short amount of time! 4. 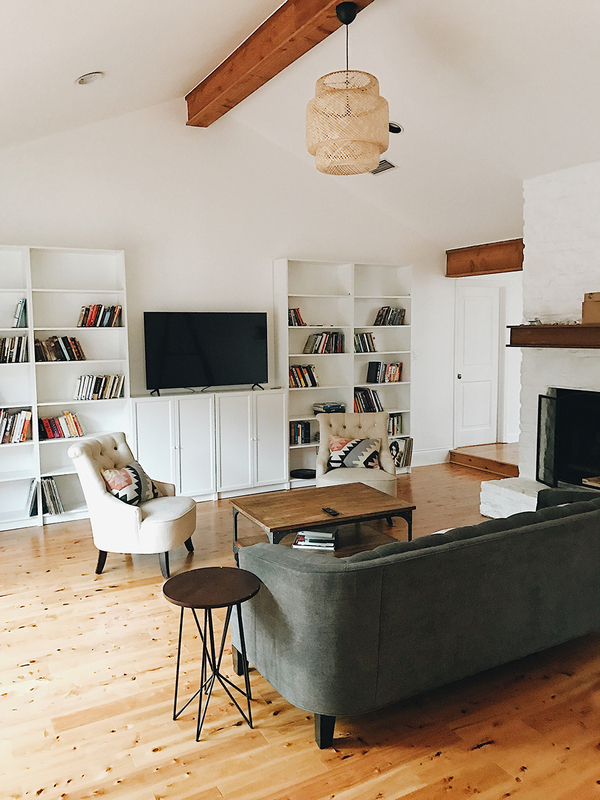 We’re going to swap out all the furniture and we finally know the sofa, chairs and rug we want for this room…excited to put our order in tomorrow! 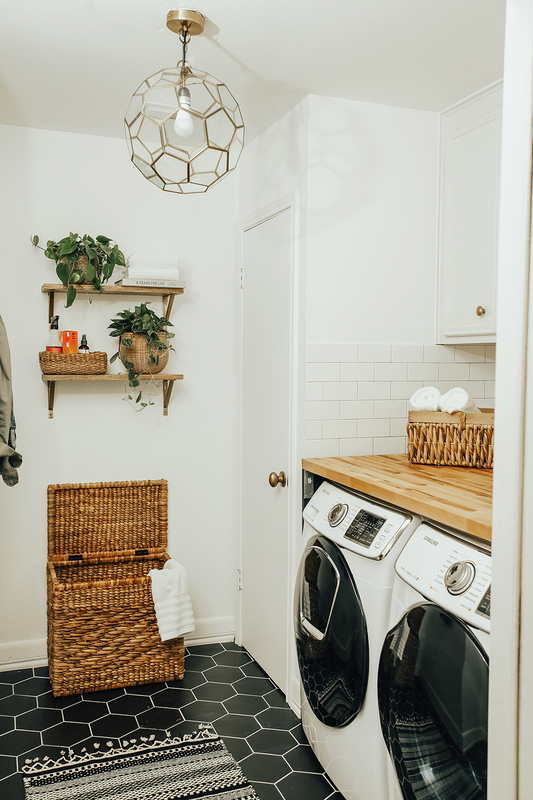 Fear not, this room reveal is in the works…very excited to share more with y’all soon! Be still my heart. 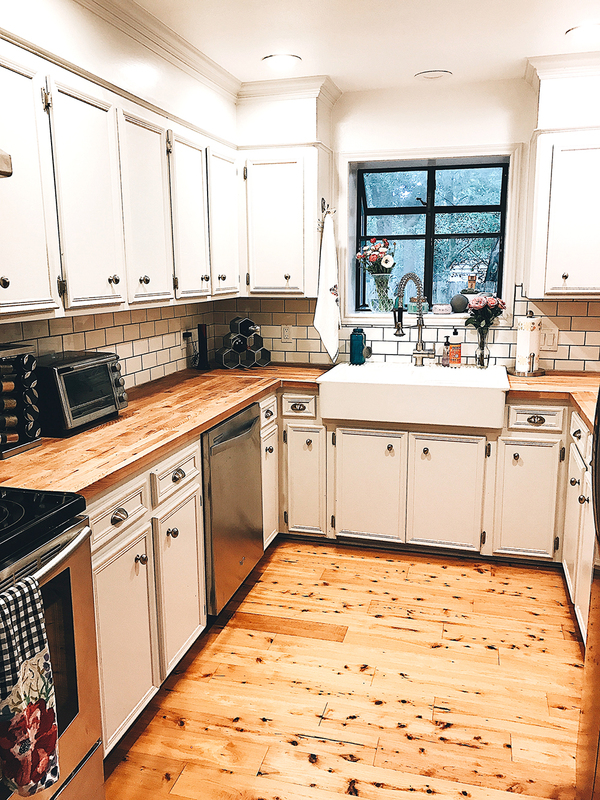 Adorable kitchen of my dreams! 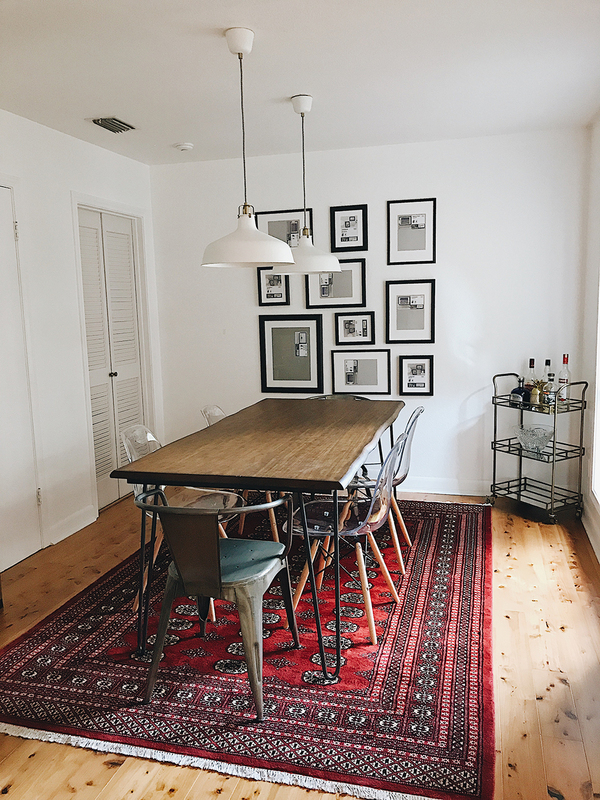 Thinking a runner rug might be a cool look…still deciding, thoughts are welcome! Nowww we’re getting somewhere! 😉 I feel like as I get older I totally understand my mom waaaay more! 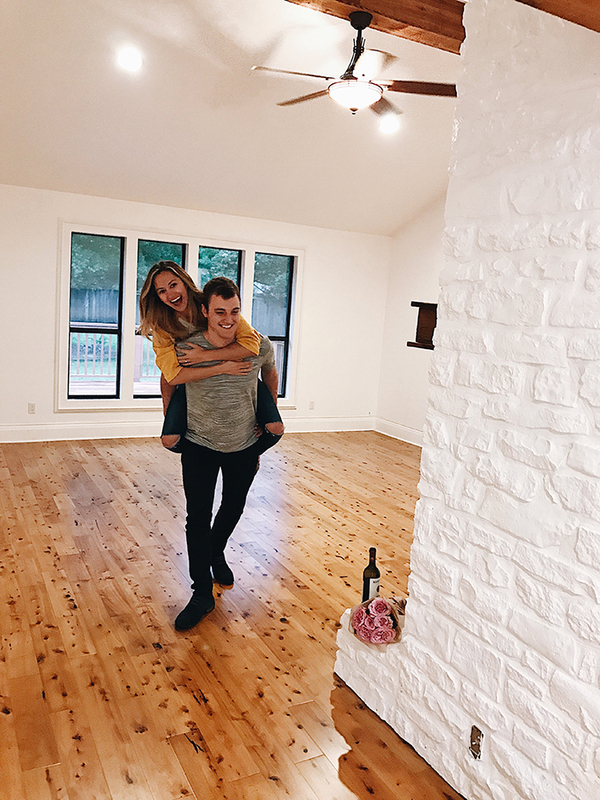 (I didn’t quite understand her love for home decor until getting this house…and now I TOTALLY get it!). I went back and forth to World Market about 10x in ONE day…the associates kept asking, “Did that chair work? 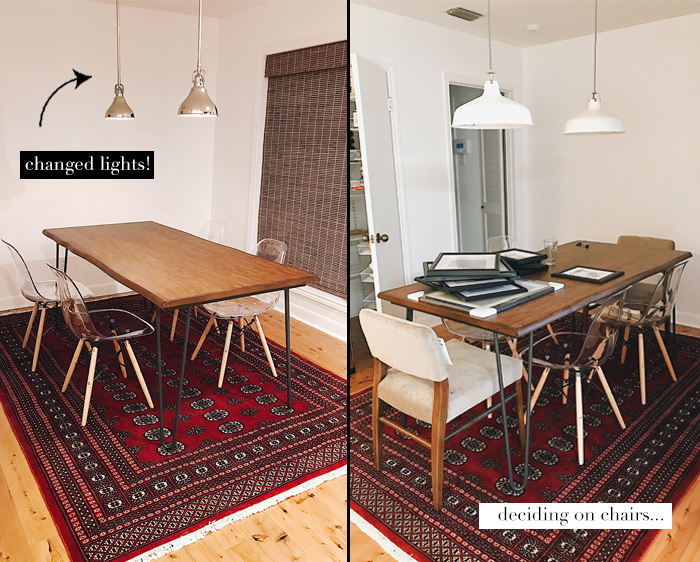 !” …After a couple tries, we finally found the head-of-the-table chairs that felt right! Shoutout to my mom for shopping around Austin with me and ultimately leading me to that gorgeous rug! Y’all…Macy’s in Austin has a “Fine Rugs” department (apparently there are only a few of these in the U.S.) and OMG did my heart skip a beat when I saw this thing. I worked at a rug shop in college (yep, true story), and ever since, my appreciation and love for beautiful, hand woven rugs runs deep. 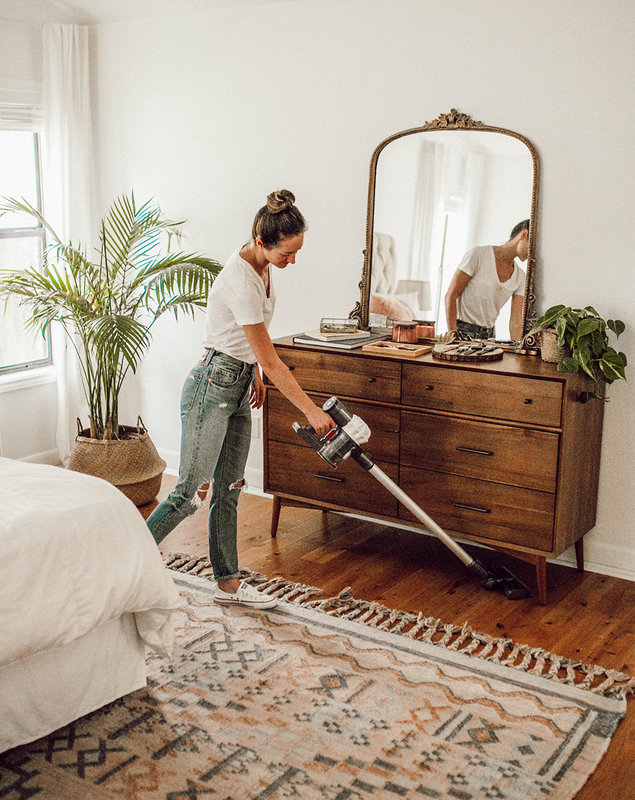 This is one of those home decor pieces worth the investment and a rug I will cherish forever! Loving seeing all of these pictures! The exposed beams are amazing…but that kitchen?!? Seriously home envy over here. I think a runner rug in there would look great! The picture of the two of you is adorable. Glad you’re loving the new place, can’t wait to see more! Ah! You’re SO sweet – thank you!! 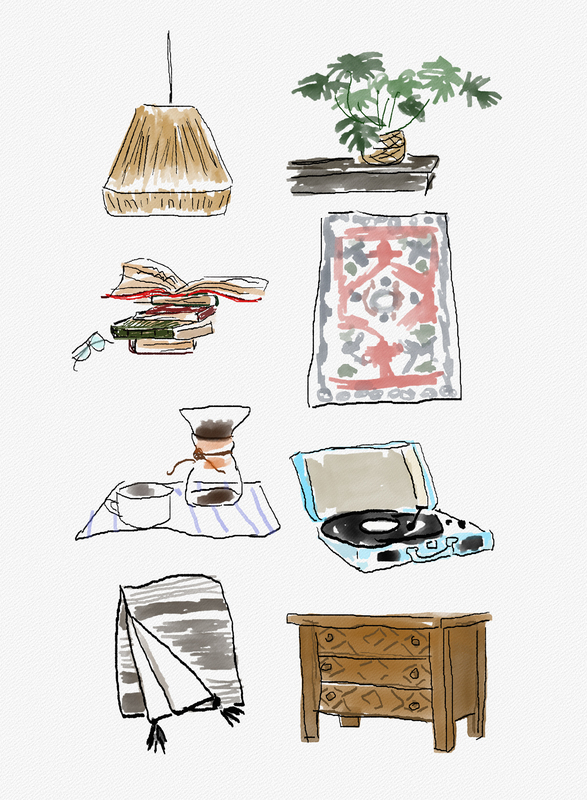 I think I’m into the kitchen rug idea too…will share more once the search begins! 😉 Have a great weekend, XO!! AMAZING!! Your house is like the exact house of my dreams! So much character, super chic, Southwestern style- ugh I love it! I live in Charlotte, NC so as much as I try to incorporate Southwestern style into my decor, it doesn’t always come out the way I want because the rest of the house doesn’t look that way! Great job girl and can’t wait to see the final product! Thanks so much, Blaire!! I totally get what you mean! When we were shopping around for homes, we would look at one and say “okay, we’ll change x, y and z” to make it “feel” right for us. 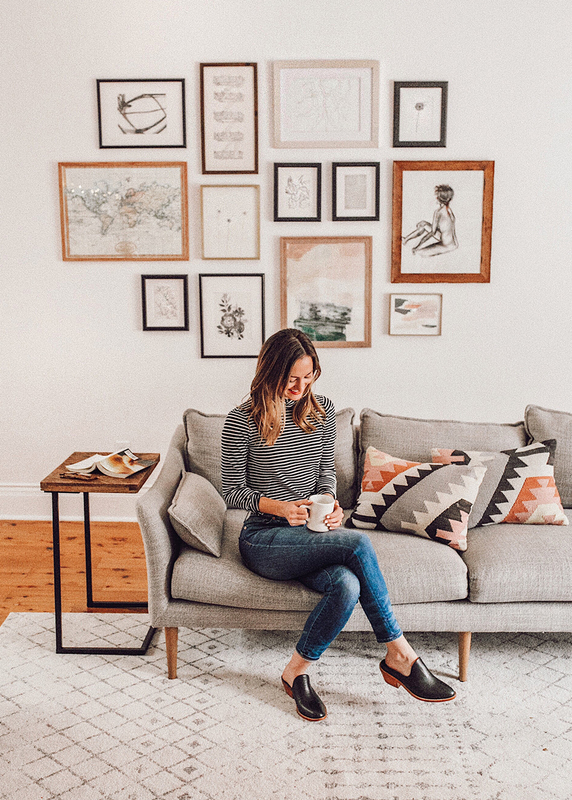 It’s tough when the framework isn’t there from the start – but luckily that’s where decor shopping helps a sista out.. 😉 Charlotte is SO cute…on my bucket list one day…so colorful and precious! Omg who took that last pic of the two of ya??? Soyyyyy cute. Loving all the decorations. I heard you may need some help with one of the guest bedrooms. I know a person if so. Any recs on where to find a fake chandelier?! We have an area by some windows that doesn’t have any electricity but would be great to hang a chandelier type decoration. It looks so beautiful so far! Coming along so well! I especially love the built-in bookshelves, a lovely touch.